As well as bringing you the most exquisite knitting and crochet goodies, we’ve been slowly curating beautiful supplies of a craft we also love – embroidery. Perfect for adding a pretty embellishment to a finished knit or as a beautiful detail on it’s own. 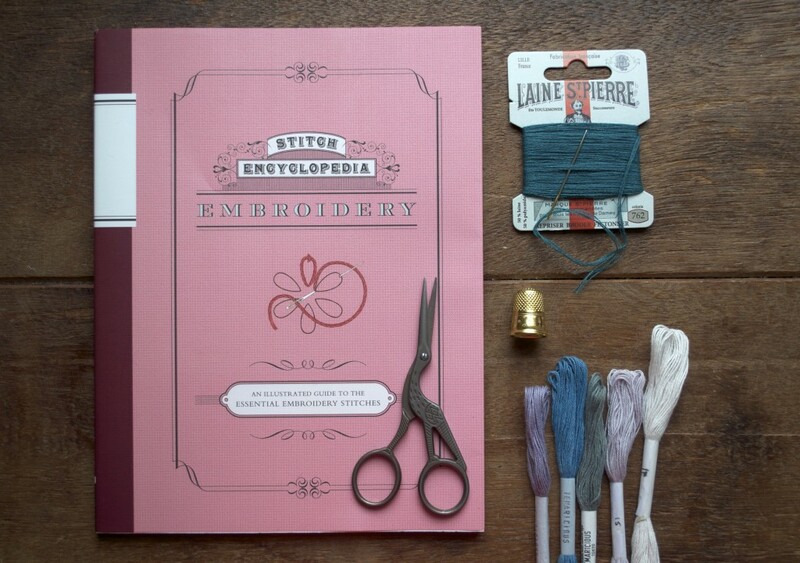 You’ll now find tools and threads at Loop, plus a range of books to get you inspired. Remember that we are closed Easter Sunday 27th March, but open as normal on Good Friday and Saturday 26th. Need a step-by-step? 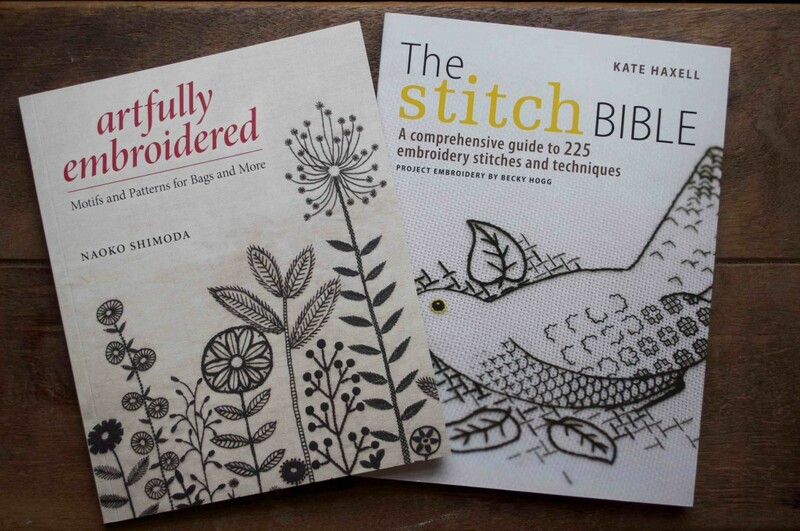 The Stitch Bible and Artfully Embroidered will guide you through the traditional techniques, plus both feature projects so you can plan how to use your newly found skills. We love the modern detail a simple stitch can create. 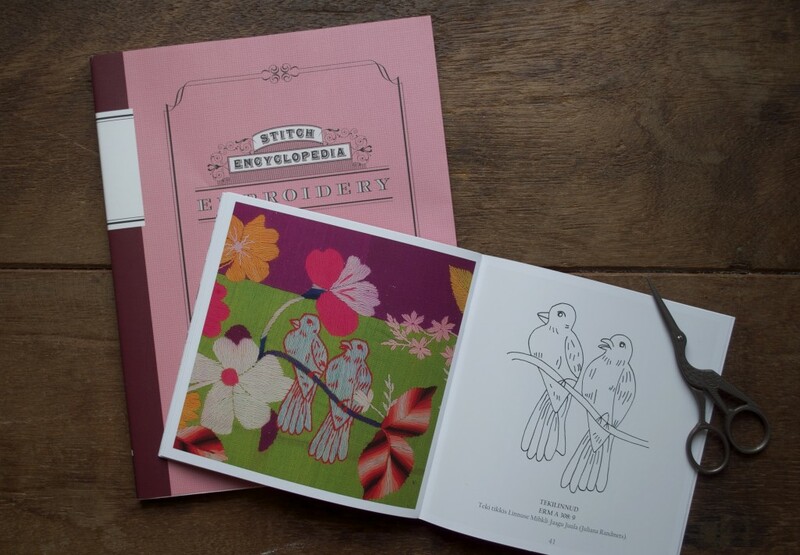 Beautifully illustrated, another great guide is Stitch Encyclopedia Embroidery (also available for Knitting and Crochet). 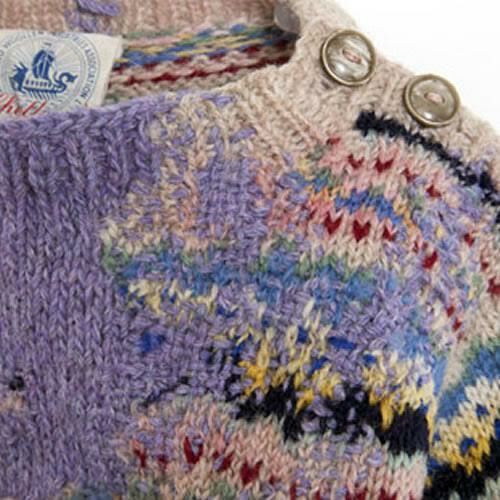 And for inspiration, look no further than the quirky folk style of Muhu Island Birds! Next you’ll need some threads. 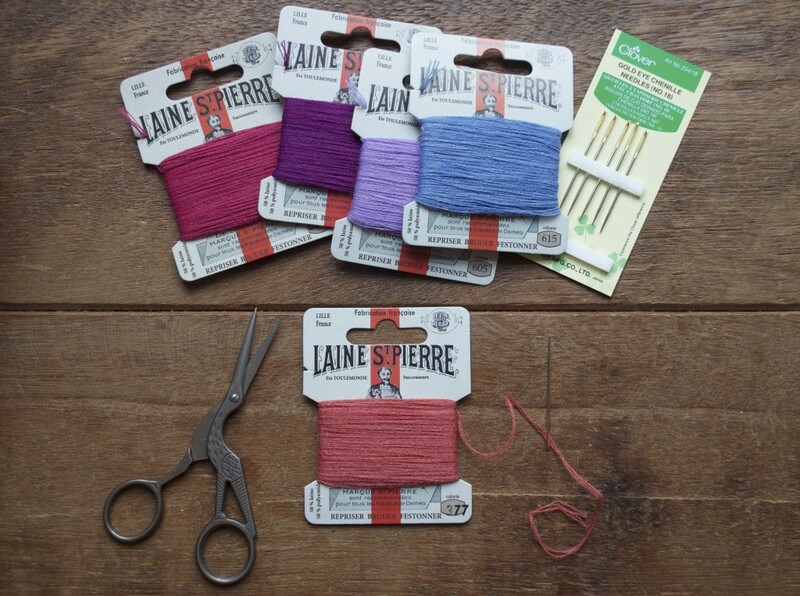 The wool/nylon blend of the St Pierre gives the ideal texture for embroidering onto knitting – and the strength of the nylon makes it very handy for darning holes too! We recommend a chenille needle with their sharp point and large eye. The scissors are from a selection of stainless steel ones that we love to use in the shop. 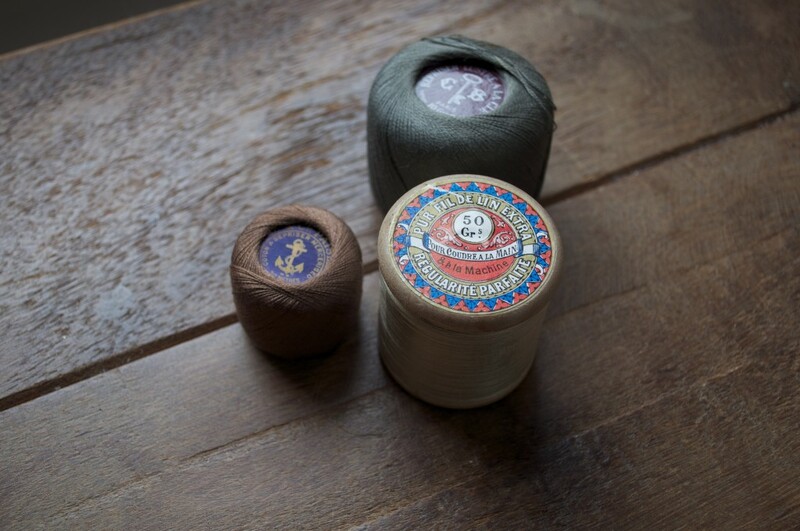 Our growing collection of carefully sourced vintage haberdashery also features a selection of vintage threads. We mostly have soft neutral shades and many come with their original packaging and labels. 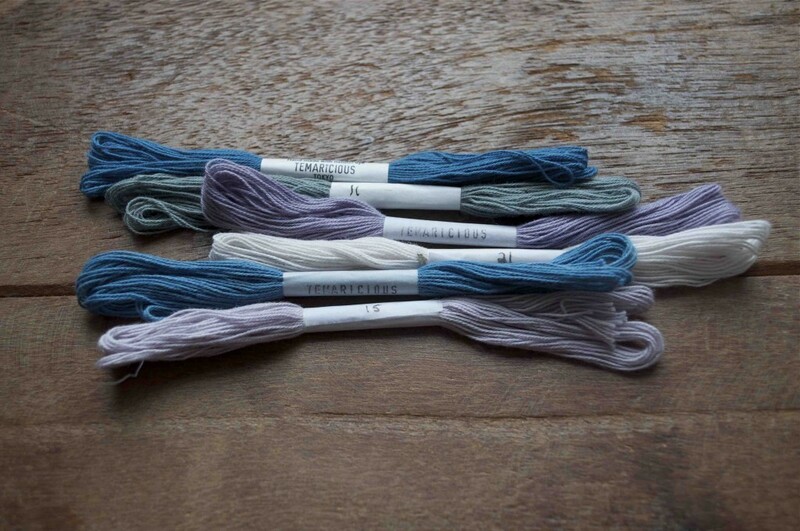 Traditionally used for the craft Temari, these cotton threads are wonderful for embroidery. 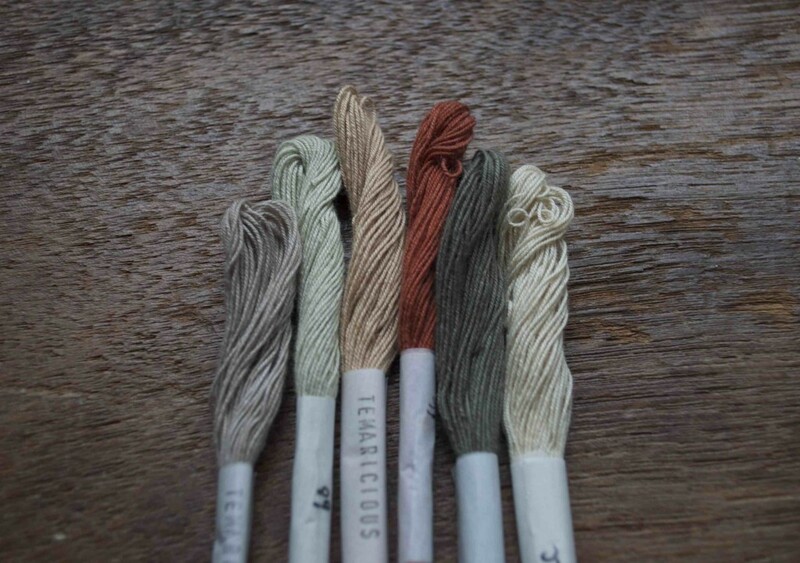 From Japanese company Temaricious, each thread is hand dyed using plant or vegetable dyes. 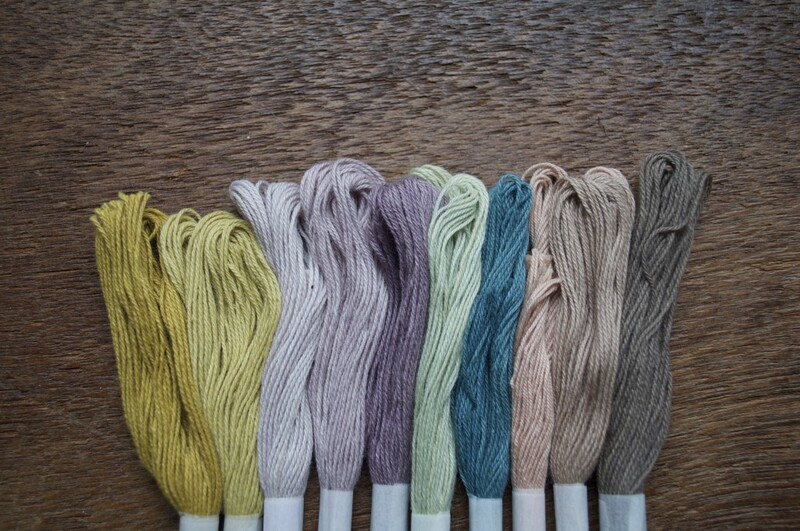 Choose either single twists or a set, including the ‘Islington‘ set that Temaricious dyed especially for us! Why not add an extra little bit of sparkle to your embellishments? 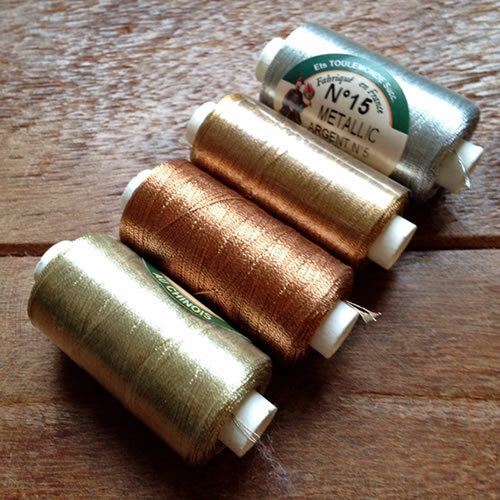 The Sajou Metallic threads can be used to accent details or even held double when knitting to blend in a bit of glitter! 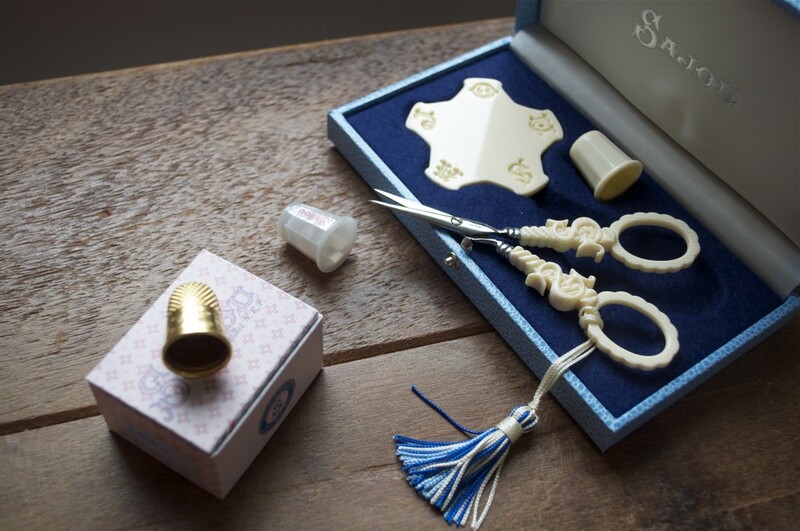 Or for the ultimate embroidery accessory, from esteemed haberdashery makers Sajou, a sewing set which includes ivory style scissors, thimble and thread winder, all in a beautiful presentation box. 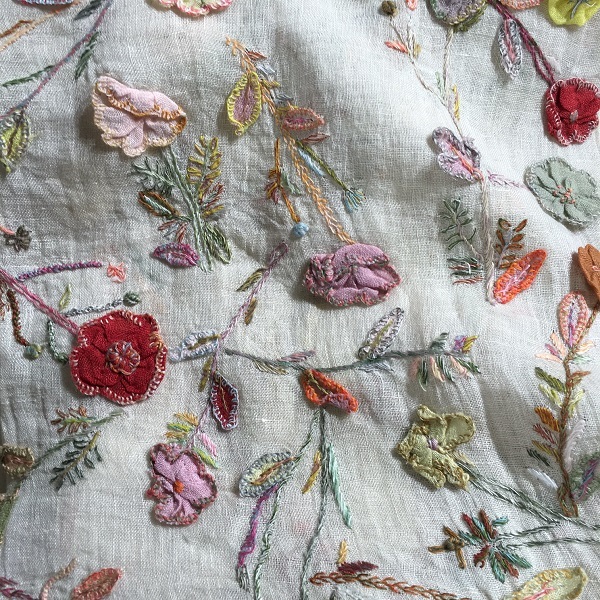 Coming soon for Spring will be a new selection of Sophie Digard embroidered scarves. 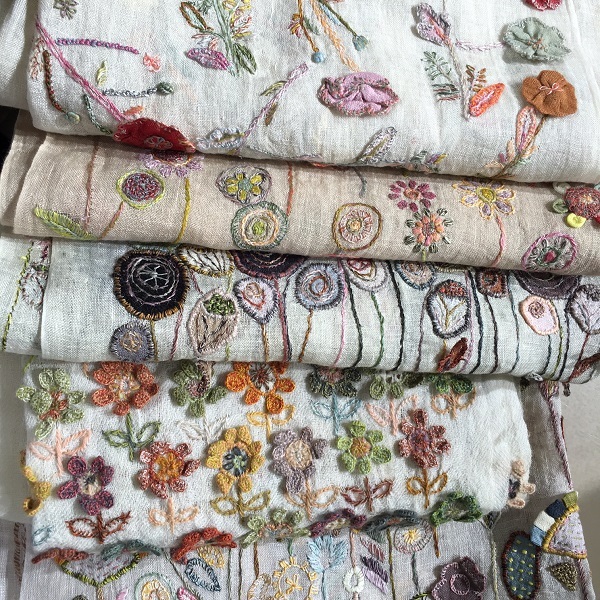 These scarves are a beautiful example of intricate stitches and a clever blend of colour- pure inspiration and a work of art to own. Still not sure where to start? Well good news as our class range now includes embroidery and textile workshops. 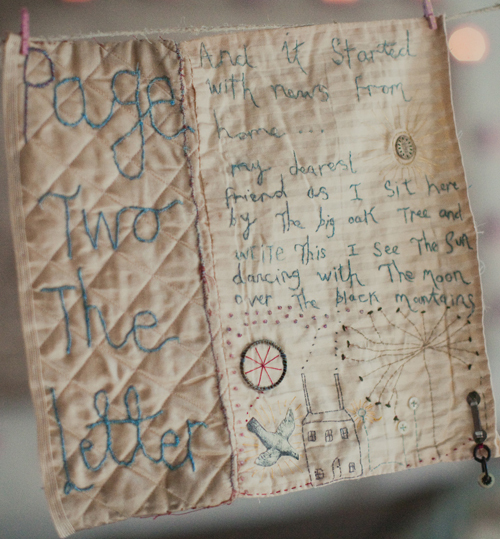 Explore using your needle and thread as a drawing tool with textile artist Jess Chorley and create your own embroidered illustration ( Saturday 21st May). 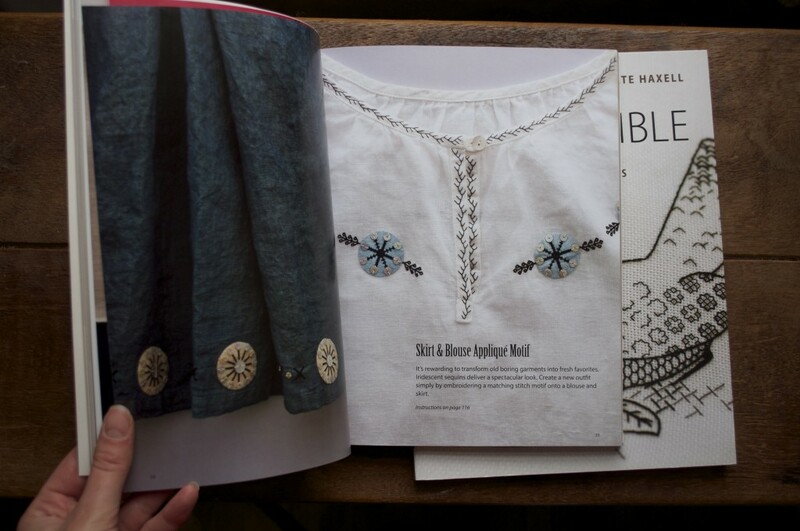 Or put your stitches to a practical use with Celia Pym’s Mending Workshop, which gives a thoughtful look at the techniques and process behind darning fabric. 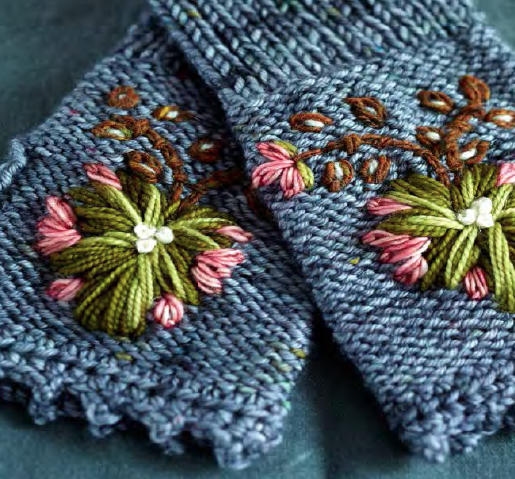 Make sure to check the blog next week as we’ll have a little embroidery tutorial with our tips and tricks for finishing the Rosemaling Mitts from Loop’s 10! Remember that we are closed Easter Sunday 27th March, but open as normal on Good Friday and Saturday 26th. Magnifique!!! Quel talent, quelles belles associations de couleurs, et quelle source d’inspiration! Un grand merci et bravo à tous les membres de votre site “Loop”. C’est un endroit que je visiterai si je vais à Londres! Just seen this …what a magical stop! Where are you based.I guess the other side of this old world! Such exquisite treasures! Thank you….I look forward to more…. Hi Patrica, Thank you for your kind words. Loop is based in London, we hope you see you there one day!